How do Marmot tents compare to Big Agnes, North Face, & REI family tents? Marmot camping tents are consistently praised for their quality of design, comfort, durability, and ultra quick/easy assembly. 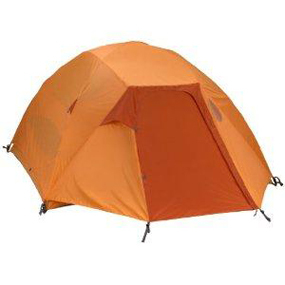 At Camping Tent Reviews, these are the features we know that outdoor enthusiasts like ourselves and readers love. After all, nobody wants to spend a few hundred dollars for a camping tent that's uncomfortable, takes an hour to pitch, and will turn your air mattress or Thermarest into a water bed. Add in the incredible versatility and portability (especially the Marmot Limelight and Alpinist tents) and it is little wonder that Marmot tents are the cream of the crop. Whether you're a beginning camper or a fanatical enthusiast, whether you're climbing the mountain or settling in on the beach, and whether you're by yourself and bringing the whole family camping, you'll find a high-quality Marmot tent to meet your needs. Reading a Marmot tent review is like perusing an essay on what makes the best camping tents so fantastic. Take a look at the following Marmot camping tents to see just what makes Marmot tents some of the best camping tents in the industry. The Marmot Limelight Tent is deserving of its name: born to take center stage in the spotlight among lesser freestanding tents, this model is a star. Easy to set up and beyond comfortable to camp with, the Marmot Limelight Tent leaves its competitors behind in a dust of shame. Take your pick of a 2-person or 3-person model, depending on how much space you'd like to have. 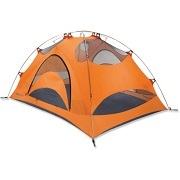 The Marmot Limelight 2p Tent is a great way to spend the night, no matter where or how you're traveling. One of the only drawbacks, it seems, is the limited space offered by this model (32 total square feet). While it is categorized as a 2-person camping tent, you have to be willing to get cozy with your camping partner if you want to share this shelter. 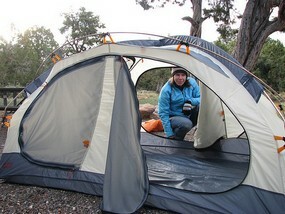 Like the Marmot Limelight 2p Tent, the Marmot Limelight 3-person model's only drawback is the size. 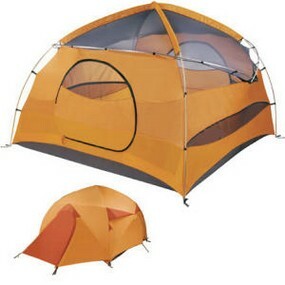 Consumers have complained that there is just no way to comfortably sleep three people in this Marmot Limelight Tent. Perhaps a small family (two adults with a very young child) would have the space they need, but no more. That being said, the Marmot Limelight 3 tent is a fantastic product that sells at a ridiculously great price. It offers two doors for ease of access, allowing entry and exit without disturbing everyone in the tent, as well as two separate vestibules for storing camping gear. The Marmot Limelight Tent is a shelter that goes above and beyond expectation. 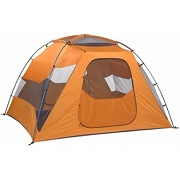 Its usability, functionality, comfort, design, and assembly makes it one of the best camping tents available. However, if you're the type that likes lounge space, you should not buy the Marmot Limelight tent--it forces campers to be cozy. 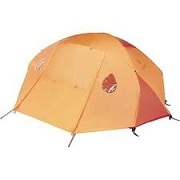 Marmot tents are often praised for their durability, comfort, and incredible ease of use. Those three qualities are exemplified here, and in every way, by the Marmot Halo 4. In almost every condition--rain, sleet, wind, and cold--the Marmot Halo stands tall. Easy Assembly - No Frustration Included. Comfort - It's a four person tent capable of sleeping more. Durability - A family tent that can take a family beating. 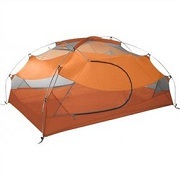 Of course, being a four person family tent, the Marmot Halo 4 isn't the best shelter to use for expeditions. The packaged weight (13 lbs 10 oz) and size (11" x 25") make it a bit cumbersome to carry up the mountain or along the trails. But if your family loves car camping, the size and weight of the Halo don't even factor in. In fact, car camping is a perfect way to experience this fantastic product. 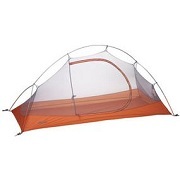 As far as Marmot tents go, the Marmot Halo 4 family tent is one of the best. The Marmot Alpinist tent is truly a superior shelter for any climate and any season. This super lightweight, single-walled tent is perfect for trips in the wind, the cold, the snow, the rain, or the everything-in-between. 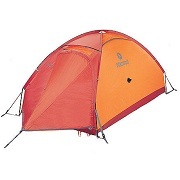 Not the cheapest of the bunch, the Marmot Alpinist tent certainly won't be for everyone. But if you need a 2 person, 4 season tent for lightweight backpacking trips and have deep pockets, certainly consider the Alpinist camping tent. So, what exactly is it that sets the Alpinist apart from the rest? Durability - One of the top compliments owners of the Marmot Alpinist pay this tent is its ability to withstand any and all extreme conditions. 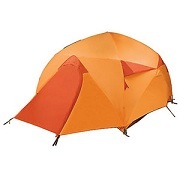 Unfortunately, not everything is perfect about this Marmot camping tent. Some consumers have found that Marmot Alpinist tents aren't as waterproof as others have made it sound. There are those who have awakened to find condensation on the inside of the Alpinist, and, in one extreme case, a large puddle of water on the floor. That being said, however, there are enough Marmot Alpinist tent owners who claim zero condensation. When this large of a discrepancy occurs, it is typically due to the tent owner not setting up the tent correctly, rather than the tent being poorly built. If you can afford the price tag (near $500) and need a 4 season tent, there's really nothing that should keep you from picking up the Marmot Alpinist tent today. The sheer versatility of the Marmot Swallow tent is incredible. It functions flawlessly in almost any kind of weather. Open the top in warm weather, seal up the walls and tie down the fly in the cold, and convert the front door and vestibule to suit your needs and desires. If you need a versatile camping tent, the Marmot Swallow is for you. As far as adaptability goes, the Marmot Swallow tent really can't be beat. The large front door can be easily converted into two smaller doors and the spacious vestibule (10 square feet) can be transformed into an awning for nighttime conversation or outdoor dining space. Its high quality design and excellent performance makes this shelter one of the best from Marmot, a company that consistently makes the best camping tents in the business.